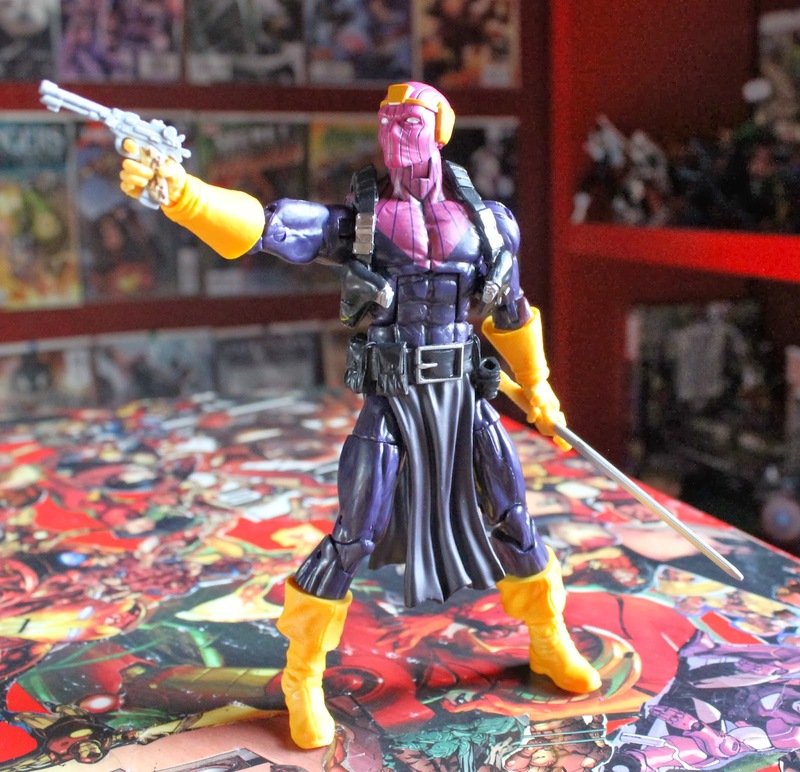 The second villain in the roster of the Mandroid BAF that Hasbro just dished out from to concur with the release of the Winter Soldier movie. This is one of those figures I was really looking forward to in the wave. I don't know that much about the villain, but I think he has a enigmatic prestige that goes along with that diabolical mind of his. So how does this figure stand up to my liking of the said villain? Let's delve into the review then. So this is the Agent of A.I.M. set. Again I'm not too knowledgeable with Zemo's role in the Marvel Universe minus that he was part of the villain-hero masquerading team called Thunderbolts; and the fact that he had strange magical stones during the Civil War arc(and also he resembles a foot soldier's face from TMNT). With that said, I'm only interested in him and not the A.I.M. soldier. In my opinion, the yellow could've been a bit darker but it is comic book accurate enough. The body mold is a norm used for Hasbro and it being a very versatile body, it does a job and I can see why Hasbro recycles it a lot. Color scheme flows well except of the yellow complaint I had, again it's comic book accurate so I have to complain about the costume design in general and not Hasbro's work. He has belts and plenty of holsters and the annoying sculpted weapons which are more for designs than actual accessory which is a minus in my book. Overall, it's a good looking figure. Accessory wise he only has two weapons and the right arm of Mandroid. Again with the weird weapons like the leopard spot designed pistol; odd for a masculine Masters of Evil leader. The sword isn't too bad, not a whole lot of paint detail, but the blade is sturdy and doesn't get distorted as easily. Now there is a reason why Hasbro recycles this mold aside from versatile and average Marvel male bodies: articulation. It has all the standard movability that one would ask for to create dynamic scenes with these figures, however there is one flaw with my figure: the ab joint is LOOSE! I must've received a defected one because any slight movement would cause Zemo to either lean forward or back. It could be worse (but it could be a LOT better) since it is compliant enough to allow certain pose that I would want. Other than that, it's not bad; no hinderance in his costume design. 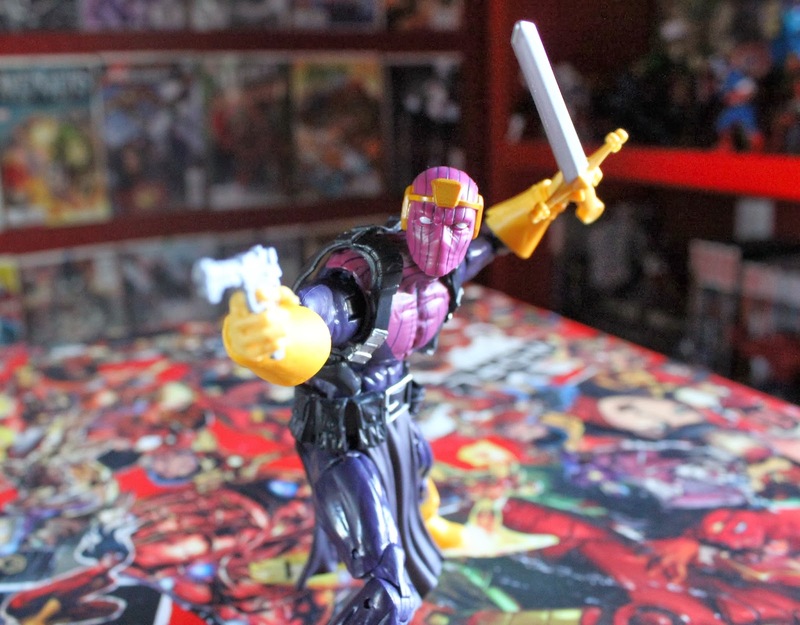 Though I don't remember Zemo being agile and Spider-Man like so him doing simple poses like shooting and swinging his sword would suffice. Shield v.s. Sword! Now I get why these two are rivals! 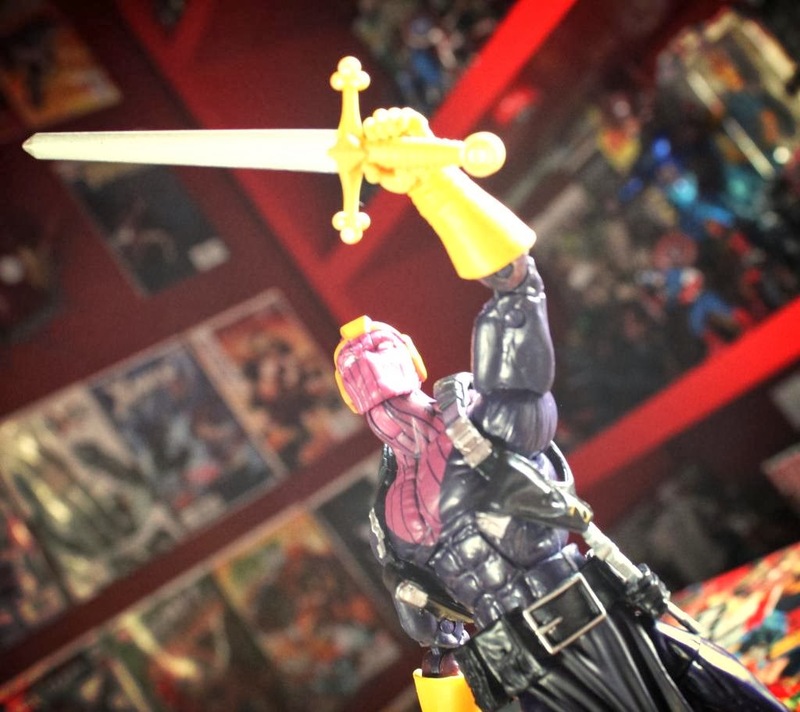 Okay it's deeper than that but Zemo's seemingly trademark weapon is a sword. So maybe I'm just shooting far fetched logic… oh well. If there wasn't that ab crunch flaw I'd love this figure more. It's not noticeable with these pictures but it's very prominent when holding him and it bugs me. Still, I won't treat this figure frivolously since it is a good addition to my marvel Villains collection!